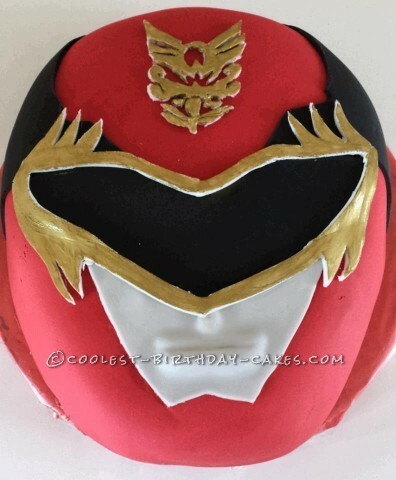 This was a Power Ranger cake that I made. When looking for images on the net of Power Rangers they all seemed to be different so I just went with an image that I found on a few sites, and here it is. Just a simple round sponge, I cut the 2 edges slightly to get it more like a face shape, covered it in red fondant and cut the pieces on the face out of fondant and glued on. Only thing is I covered the cake board in red, which kind of drained the cake slightly, but still my nephew loved it!! Birthday cake idea Posted by Liz M.